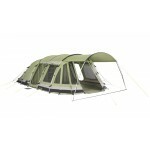 Outwell Bear Lake 6 Tent The hugely popular Outwell Bear Lake 6 has been recently updated with the addition of a panoramic front, an extended zip-on canopy plus tinted windows. 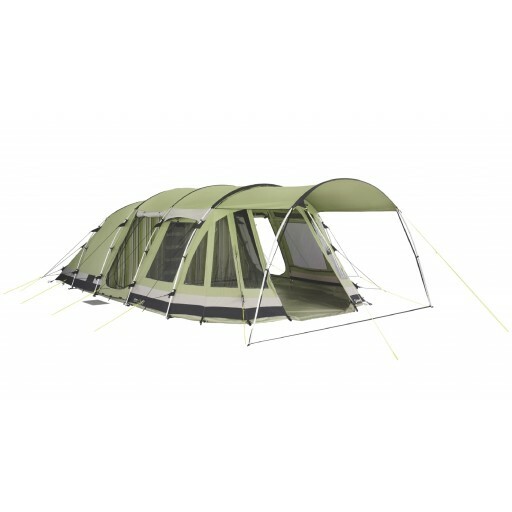 This hugely popular member of Outwell Classic Range of polycotton tents sleeps 6 people (in a 4+2 configuration), offers great living space and stand up height throughout. The breathable polyester pongee bedroom inner now features a new stripe finish adding a bit of style to your boudoir! 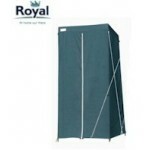 It also features the new ‘wave’ hanging points which reduce stress and ‘pulls’ when hanging the inner. 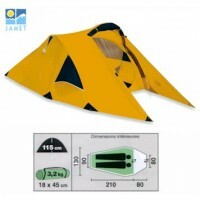 Plus there’s a low light window within the inner so you can check the weather outside within leaving the comfort of your sleeping bag. 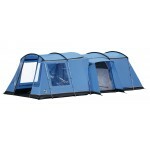 The inner also features Outwell’s universal system which means that it can be opened out into a full 6-berth inner or, you can completely remove one half of the inner and stow it away if not being used. 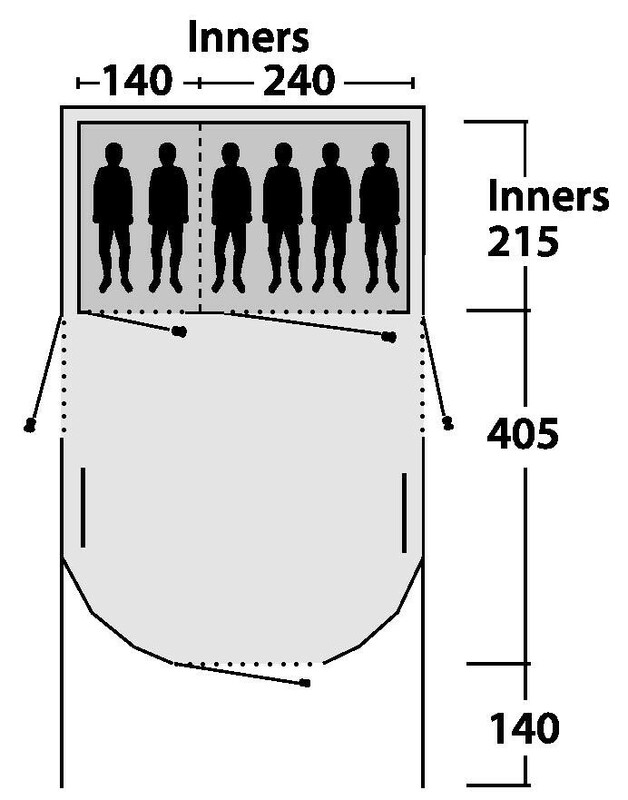 he living area measures an impressive 2.8x4.0m and can be entered via no less than 3 doorways – a large panel front door and two side ‘U’ doors all of which have mesh screen double doors. The side doors also feature their own windows and there are further windows in each panel of the tent (all with internal privacy covers) to ensure that light floods into the tent. The windows are now tinted which means that sun glare is reduced and while you will be able to see out perfectly well, your neighbours won’t receive the same benefit! Outside, the Outwell Bear Lake 6 is finished off with a large zip-off front sun canopy that provides extra protection to the front entrance in poor weather and a pleasant al-fresco relaxation area in fine weather. 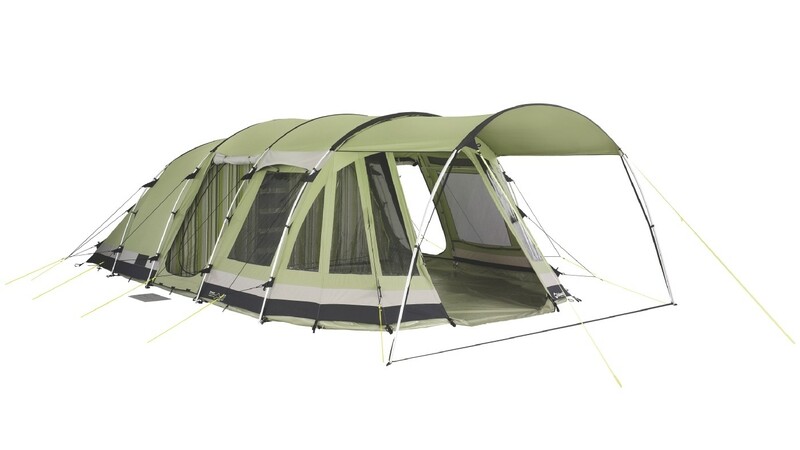 The Bear Lake 6 features a new, colour co-ordinated zip-in heavy duty PVC coated polyester groundsheet throughout providing 10,000mm HH protection. 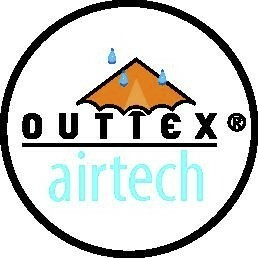 The flysheet is Outwell's own Outtex Airtech Polycotton - a rich blend of 65% cotton and 35% polyester that provides a luxurious feel to the tent as well as providing practical advantages such as a cooler internal climate and enhanced breathability. 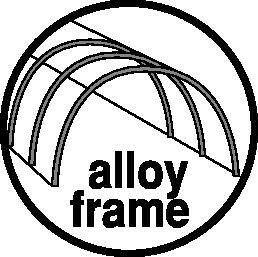 While polycotton is heavier than polyester, the increased weight has been offset by the use of 22mm aluminium alloy poles throughout. 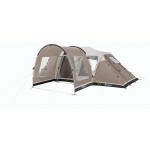 Outwell Bear Lake 6 Tent .